ASSEMBLY magazine covers this well-defined functional niche that exists across the entire manufacturing market. ASSEMBLY serves the information needs of people who are responsible for this product assembly function that exists in every manufacturing company. Our objective is to help them make assembly-related decisions and develop solutions to assembly problems. We do this by reporting on the technology, products, applications and industry news relevant to product assembly throughout the manufacturing SICs. We feel that it’s Circuitnet’s responsibility to dig through the unending stream of news, articles, features, and discussions to deliver news and information, covering the world of electronics manufacturing, to our subscribers. We conveniently deliver our compendium of information to our subscribers via email -- every business day. Circuit Cellar is the only publication that provides intensive, exploratory articles about hardware and software methods for embedded-control systems. CoolingZone is the leading global community for people who NEED or PROVIDE solutions to electronics cooling problems. The primary objective of this community is to provide an effective communication platform for all individuals as well as corporations who are active in the field of thermal management in the electronics industry. CoolingZone also offers a monthly e-Newsletter. Design News is the leading technical resource, both in print and online, providing technology news, opinion, analysis, end-user examples and tutorials for engineers and engineering managers who design consumer and industry-specific products and systems that range in application from planes, trains and automobiles to cellular phones, industrial machinery, medical devices, and more. The Job Shop Company, Inc.
Design-2-Part Magazine specializes in helping OEM's take their product from design to part. Design World is focused on serving the OEM machine builder, design engineer, and engineering manager. We deliver relevant editorial content and the most up-to-date supplier product and technology releases. We also provide you 3D CAD models, industrial videos, E-Commerce solutions, widgets, podcasts, industrial news, and targeted engineering resources by product and technology both in print and online. We'll continue to produce best-in-class print and online resources to help you do your jobs better, faster and under budget. We welcome your comments and suggestions along the way. EDA Tech Forum Journal is a quarterly publication for the Electronics Design Automation community including design engineers, engineering managers, industry executives, and academia. ADDRESS: EE Times c/o CMP Media Inc.
EEWeb is a premier electrical engineering community that strives to offer its members the best online resources for hardware designers. EEWeb is independently owned and operated by co-founders Cody Miller and Joe Wolin. The development of the site began in late 2007 and was released in late 2010. We have partnered with Digi-Key Corporation as an exclusive sponsor of EEWeb and we are proud to promote Digi-Key's first-class products and services. A magazine for the electronics fraternity. Electronics industry’s professionals, businessmen and hobbyists together constitute this elite fraternity. In regular publication since January 1969, EFY is the natural choice for all communication meant for this community. From micro-controllers to VCD players, from PCB designing software to UPS systems, from industrial automation tools to software languages, these are all regularly covered and represented in the magazine. ADDRESS: 44790 S. Grimmer Blvd. Embedded Advisor – a technology magazine – reviews the incremental trends, rising complexities in consumer demands and embedded technology landscape across Consumer, Industrial, Communications, Transportation, Medical, Defence, Energy and the rapidly evolving technology trends in Drones, Robotics, Sensors, IoT, Wireless and more. Electronics Maker has articles on latest topic, giving readers the cutting edge information on developments in electronics and designing. Electronic Products reports on important developments in products and product technology. Its editorial serves as a key information source for engineers and managers. 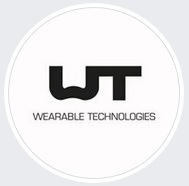 ElectronicsWeekly.com is the UK's leading website for electronics professionals, offering a daily diet of news, analysis, feature and business stories. The site also includes a wide selection of jobs and new products. Electronics News is a b2b portal, produced by T Sole 24 Ore Business Media, which presents itself as the benchmark for professional electronics, automation, security and networking. EMSNow was launched to provide the Electronics Manufacturing Sector, and it’s supporting supplier and customer bases, with a single, real-time information and analysis source covering the global aspects of this critical industry. EMSNow focuses on the business of the EMS industry. EPP EUROPE offers a wide variety of reporting about practice and application in electronics manufacturing. Emphasis is placed on SMT and PCB assembly, semiconductor back end and hybrid production as well as test and measurement systems. It is published in English including summeries in German, French and Italian. evertiq (Electronics Vertical Intelligence) is an online news media which has been created to serve the information needs of the European Electronics Industry audience. evertiq's editorial mission is to provide coverage of the news, trends and issues that impact the industry. Everyday Practical Electronics ("EPE") Magazine is the UK's No. 1 Electronics Magazine for practical electronics technology and computer projects, now celebrating 30 successful years - and with readers all over the world, we're simply the best hobby electronics magazine you can buy! If you're a novice electronics enthusiast or hobbyist, school or university student, professional or advanced constructor who enjoys practical electronics construction, then EPE has something for you! Nobody does it better than EPE - written by enthusiasts FOR enthusiasts! At least four fully detailed constructional projects and circuits for you to build - something for everyone! Absorbing educational series, articles and topical features. News and adverts from a diverse range of electronic component suppliers. A comprehensive range of Reader Services, including Back Issues, electronics books and videos, and project PCB's. Global SMT & Packaging produces two e-newsletters every month featuring technical articles, columns, interviews and breaking industry & product news. We also produce special show preview e-newsletters (APEX, SMT HYBRID PACKAGING, Nepcon UK, Nepcon Shanghai, SEMICON West, ATE, productronica, etc.). We list Lasers, Laser Diodes, Lenses, Mirrors, CMOS Image Sensors and many other Photonics Products from multiple manufacturers and let users search for them by specification using a parametric search tool. The website has seen some great traction and is growing quickly. We also keep users up to date with the Photonics Industry by publishing the latest news, new product releases and upcoming events. I-Connect007 is the industry's longest running, real-time magazine providing information for readers around the world. Our mission is to consolidate pertinent industry information, to expand the reader's knowledge and improve their businesses. We also seek to foster communication throughout the global electronics supply chain, connecting designers, fabricators, contract manufacturers and OEMs. Information is presented in "real time" by industry sector in the form of electronic articles, interviews, news, market reports, event coverage, and breaking news stories. All information is presented in a user-friendly format that is easy to navigate. CONTACT: David A. Johnson, P.E. Imagineeringezine.com is dedicated to imagineering. the consulting profession, science and technology, gardening and much more. Imagineeringezine.com which promotes creativity and imagination, is loaded with information for hobbyists, scientists and engineers. Hobby Corner, The Experimenter's Journal, Imagineering in Space, Interesting Facts, The Consulting Profession, and Brainstorming are just a few of the sections. Leadfreemagazine.com is brought to you by a consortium of leading companies in the industry: Aqueous Technologies, ASAT, Creative Automation, DEK, EPM-IBL, Kester, KIC, Kyzen, Metcal, MVP Inc., Polyonics and Tyco Electronics Automation. Taken from Industrial Paint and Protection Magazine. Article written by Tommy O'Shaughnessy. Every year we feature nearly 1000 new products, about 75 product and technical articles and 12 opinion articles. We aim to provide information on new products in every category, while complementing them with technical and application articles, news, and industry perspectives. Since the beginning, Military & Aerospace Electronics has been on top of COTS issues and continues to be the clear leader when it comes to coverage of COTS success stories, COTS failures, and COTS trends. Articles focus on how and when designers should use mil-spec, non-developmental-item, or commercial off-the-shelf (COTS) equipment and components. The online version of Military & Aerospace Electronics provides daily international business and industry-related news, current issue articles, and access to years of searchable editorial archives. Check the calendar of events for the next COTScon, industry-related conference, or refer to the Product Guide for vendor, product and service information. Check the online store for books and videos, and a subject search is also at your fingertips. For 40 years, New Electronics has been bringing the latest technology news to the UK electronic design engineers and electronic design management. With its regular news, features, in-depth cover stories and insightful analysis, New Electronics is the ONLY magazine for anyone trying to reach (UK's) electronic design sector. OnBoard Technology is the most comprehensive international magazine dedicated to European PCB Design, Manufacturing, Assembly and Test. OnBoard Technology´s editorial focus covers high-level design and production technologies and equipment. Subjects of interest include Advanced Materials, SBU (Sequential Build-Up), MIDs (Moulded Interconnect Devices), Area Array, Flip-Chip, MCMs (Multi-Chip Modules), HDI (High Density Interconnection), HDP (High Density Packaging), MST (Microsystem Technology), Leadfree Soldering Issues, Evolving Industry Standards. PCB Chat is the UP Media podcast series hosted by Printed Circuit Design & Fab's editor in chief Mike Buetow. Listen in to our roundtables and interviews with industry experts to discuss the critical issues of the day to designers and manufacturers. PCB UPdate (circulation over 40,000) is a bi-monthly newsletter published by UP Media Group, Inc. The goal of this newsletter is to share the editorial content and expertise of UPMG's magazines and staff with e-newsletter subscribers. If you aren't already a PCB UPdate subscriber, click here to subscribe for FREE today! Planet Analog is an online community for designers and engineers – both newbies and wizards – interested in discussing and advancing the state-of-the-art in analog design techniques, technologies, integration, and application. With design cycles shortening, analog expertise in high demand, and access to the truly experienced analog engineer lacking, Planet Analog fills the gap between theory and practice in a community devoted to the art. PLUS is a highly accomplished trade publication on electronics manufacturing that successfully combines two basic approaches to industry and technology reporting. First, it features technical content with a profound in-depth coverage. Secondly it covers a broadly diversified range of important topics of concern to the electronics manufacturing industry. This approach is clearly noticeable when you look at the magazine's compact layout and its signature yellow cover page, which is well-known to every professional in the electronics manufacturing community. The editorial concept of PLUS is to discuss the entire value chain - design to printed circuit board to completed assembly - in the manufacturing and assembly of surface mount components. Using the full gamut of technical information from around the world PLUS alerts you to the most significant developments in the electronics industry on a month-by-month basis. Perusing the contents of each issue you get a panoramic view of the latest trends, insights and achievements, to stay on top of all relevant themes. Japanese PWB industry News from Tokyo. First published in 1965, issued every ten days, brings you the most up-to date market information on the Japanese Printed Circuit market. Printed Electronics Now is the leading media provider in the worldwide business of printed electronics. Printed Electronics Now and pritnedelectronicsnow.com are leaders in coverage of the printed electronics industry. Printed Electronics World provides you with a daily update of the latest industry developments. Launched in May 2007, this free portal covers the progress to printed electronics in all its forms - from transistor circuits to power, sensors, displays, materials and manufacturing. Hosted and written by IDTechEx, the leading printed electronics analyst and event organiser, articles provide commentary, analysis and give a balanced view of the issue. You can opt-in for an email to be sent to you every Wednesday listing the new articles posted in the previous week. We aim to make this service your most valuable tool for keeping up to date with the printed electronics industry. We seek your input - company progress, press releases, case studies and developments, which in turn we will feature as future articles. Please forward these to us - email Teresa Henry at t.henry@IDTechEx.com. IDTechEx is a knowledge based company specialising in printed electronics, RFID and smart packaging. The company gives strictly independent marketing, technical and business advice and services on these subjects. It is in three forms - consultancy, publications and conferences. Staff are mainly honours graduates specialising in the subject. They travel intensively, visiting many conferences, universities and companies to learn and interpret the latest information. Indeed, IDTechEx is unusually international in its reach, with directors in the US and UK and technical associates in Japan, Germany, New Zealand and elsewhere. IDTechEx technical staff and associates speak Mandarin, Canton, German and many other languages. RF Globalnet is the Internet's leading source of technical information for the RF/microwave design industry, serving the needs of engineering professionals since 1996. Questex LLC. All rights reserved. SERVO Magazine is dedicated to the "Next Generation of Robotics Experimenters", devoted 100% to robots and robotics. With an all robots - all the time focus, each monthly issue will inspire, educate, and entertain with feature articles, interviews, tutorials, DIY projects, hacks, parts sources and much more. * Projects to build: do it yourself to save money, to learn new skills or simply for the fun of it! * Serviceman's Log: Actual cases, often unusual, from the bench our intrepid serviceman. Also includes servicing stories submitted by readers. * Vintage Radio: bringing back to life the discards of previous generations. * Technical features: in-depth stories about the latest technologies and gadgets. Contains technical information that many other publications ignore or gloss over. * Product Showcase: new products & services available from various Australian suppliers. * Computer Features: solving problems, tips and tricks or new equipment to try. * Mailbag/Ask Silicon Chip: letters from our readers (ie, you!) and our answers to tricky questions we receive. The SMT Express newsletter is a periodical featuring assembly solutions from your peers and vendors. We have designed this newsletter, with SMTneters, to bring useful information to the mailboxes of electronics manufacturing professionals. If you are not already receiving the SMT Express in your inbox, you can subscribe simply by registering with SMTnet. In addition to the newsletter, registration also provides many other benefits. TAP TIMES is a digital magazine published by La Plume de Ma Tante Publishing Co. of Manteca, California. US TECH, a monthly international hi-tech electronics publication reaches over 200,000 design engineers, manufacturing & production managers,buyers, product specifiers, and corporate management on the web and in print. We focus on new innovations in SMT, PCB design & fabrication, contract assembly, test equipment, components & distribution. Also available in Chinese on the web. www.VentureOutsource.com is the business strategy source for electronics contract manufacturing outsourcing and offshoring. VentureOutsource.com provides printed circuit board (PCB) assembly best practices and PCB box build and systems integration benchmarking information and related supply chain knowledge to help decision-makers, worldwide.